This picture was taken on March 4, 1979 at 2:30 A.M. PST by Voyager 1 from a distance of 2.6 million kilometers (1.6 million miles). 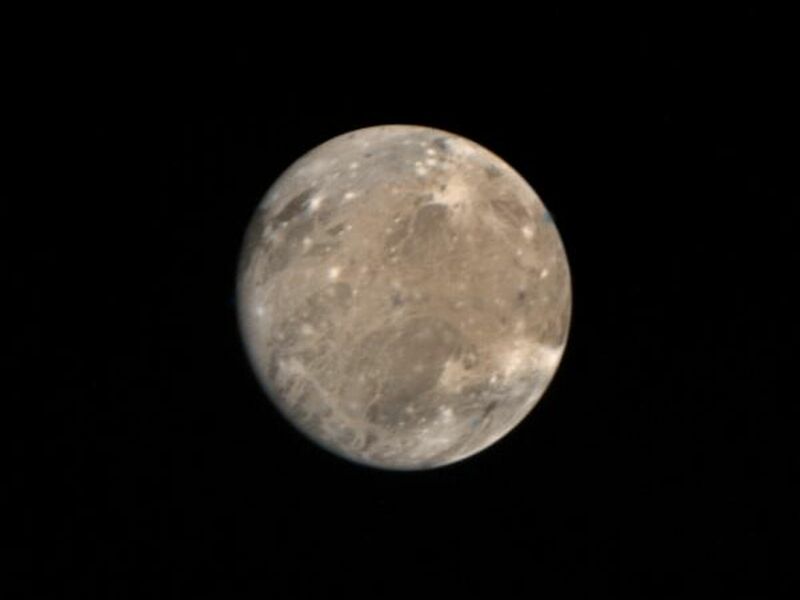 Ganymede is Jupiter's largest satellite with a radius of about 2600 kilometers, about 1.5 times that of our Moon. 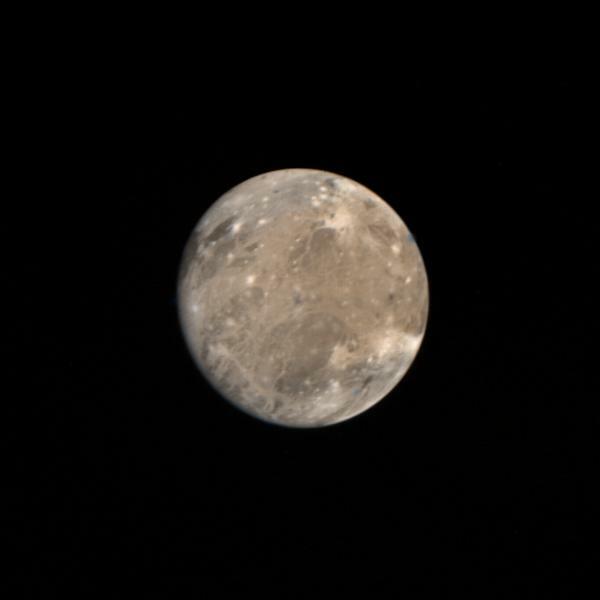 Ganymede has a bulk density of only approximately 2.0 g/cc almost half that of the Moon. 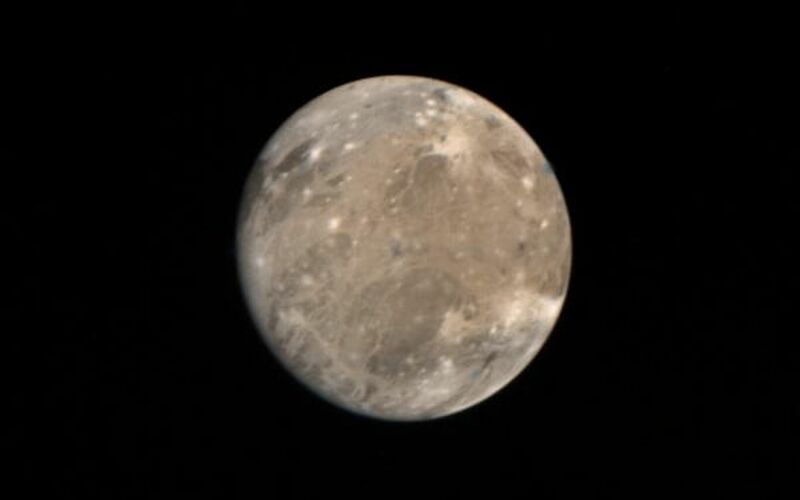 Therefore, Ganymede is probably composed of a mixture of rock and ice. 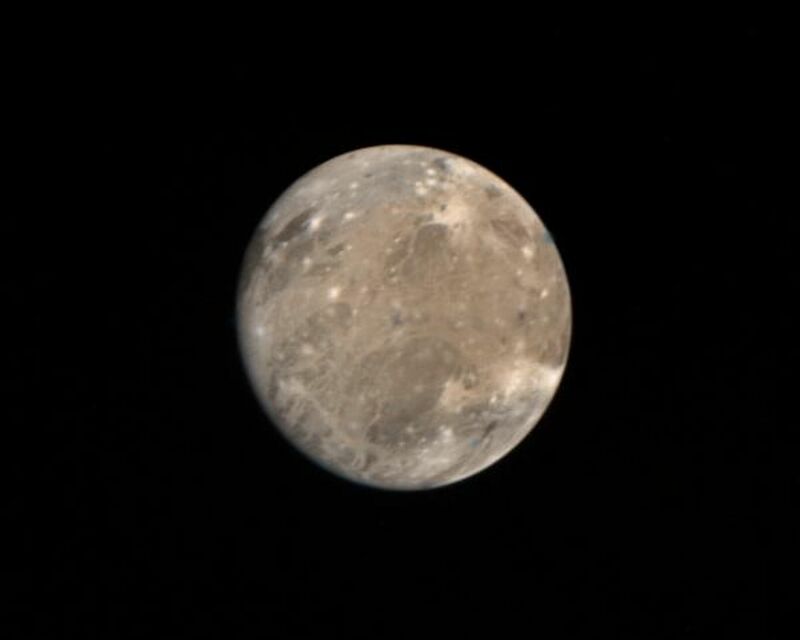 The features here, the large dark regions, in the northeast quadrant, and the white spots, resemble features found on the Moon, mare and impact craters respectively. The long white filaments resemble rays associated with impacts on the lunar surface. The various colors of different regions probably represent differing surface materials. There are several dots on the picture of single color (blue, green, and orange) which are the result of markings on the camera used for pointing determinations and are not physical markings. JPL manages and controls the Voyager project for NASA's Office of Space Science.